This fun and exciting class combines dance and acting/singing to create a musical theatre class. 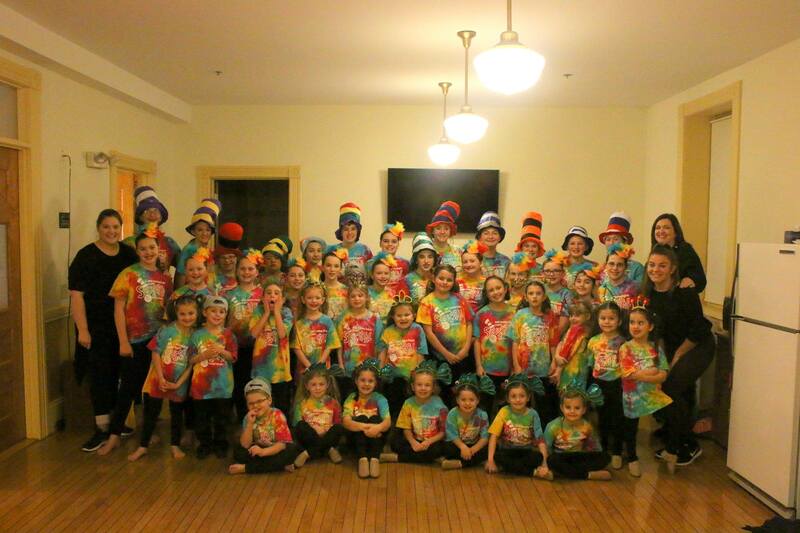 Offered at a medley of age levels, dancers in this class will enjoy learning broadway techniques, and completing fun acting games and exercises. This program is structured differently from our typical 10 month dance season. 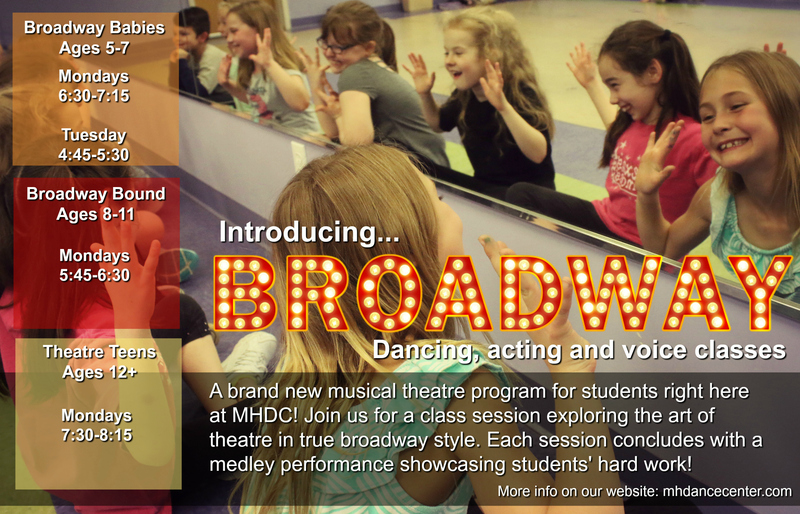 Students enrolled in our broadway program have the option to attend one or both half-season sessions. Each complete with a short medley performance to showcase students’ hard work. These shorter sessions make this class ideal for both students looking for a year-round class (could take both sessions) or for students who may have conflicts for part of the year due to sports/other activities! Spring Session Calendar *Subject to change once performance venues and class sizes are solidified. Note: We will hold 2 weeks of classes after their performance is complete to celebrate their hard work, and learn more theatre material! Spring session enrollment begins Jan 1, 2019! Be sure to claim your spot once open. Black leotard, caramel tights stirrup or footless, bare feet or caramel Capezio jazz shoes (style EJ2) – Dancer’s choice. Hair should be secured off face. *Sibling discounts available. Ask the office!